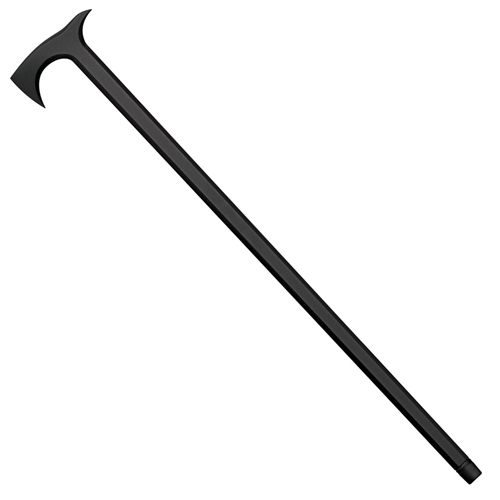 The Walking Axe Cane represents the culmination of years of design and development. Combining Cold Steel's own study of the combative use of crook-topped canes in the world of Martial Arts with inspiration from historical hatchet-headed walking sticks, they created a axe-headed cane that remains perfectly innocuous for everyday use, but can be deployed in a myriad of different ways in a last ditch self-defense situation. Made from high-impact polypropylene, the Walking Axe Cane will withstand even the harshest weather conditions and will never crack, warp or rot like a conventional wooden stick.